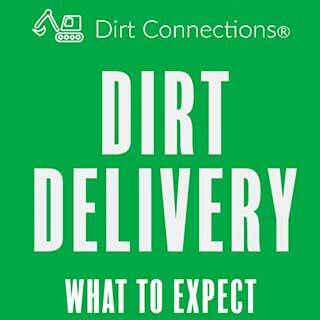 Dirt Connections is well known for its reliable Gainesville, VA fill dirt delivery service, making your construction logistics simplified and cost-effective. We have the knowledge and experience to help you complete your residential or commercial construction/remodeling/development project with enough free fill dirt, regardless of its size. 7 Schedule a Gainesville, VA Fill Dirt Delivery Today! Projects of all shapes and sizes may require a certain amount of fill dirt for building foundations, development, construction, and for remodeling projects. Fill dirt is also used for leveling terrain, filling in holes, landscaping, and for other purposes. The specific amount of fill dirt you need for your project will vary based on it’s size and scope, but Dirt Connections understands the reasons why you might need fill dirt and we can deliver the precise amount of dirt you need for completion of any project. If you have undertaken any size of construction project, you will most likely need fill dirt to provide the foundation. We have created an upstanding reputation with our service over the years in Northern Virginia, which includes such areas as Gainesville surrounding cities and suburbs. Dirt Connections can provide support for residential and commercial construction/development projects alongside Lee Highway, Linton Hall Road, Wellington Road, Route 55, and all other major/minor roads. We are always happy to help, and we proudly offer our services to the Gainesville, VA area. Our company is your ally in any construction setting, and we are fully equipped to ensure a fast and efficient job. We are here to help supply any and all of your fill dirt needs, regardless of the size of the project that you have on your hands. Any job site requiring ten loads or more of our fill dirt is eligible for a completely free delivery of fill dirt. Delivery fees that do apply are decided according to the site’s proximity, specific demands that customers have, and required materials. We require that you set up a full site inspection before finalizing the fill dirt order. This inspection is free, and requires the authorization beforehand from the site’s owner or agent. We don’t just offer to deliver your dirt, we can remove excess dirt as well. If you are performing any task that requires excavation, there’s a good chance that you’ll be left with plenty of dirt you don’t want when all’s said and done. We can take that dirt off your property, haul it away, and dispose of it. Just ask! Anyone who needs to build on stable ground should consider our competitively priced fill dirt delivery. Fill dirt is also helpful for filling holes, leveling areas, among other uses. We have been busy supporting development in Gainesville, VA for some years now and our familiarity with the area allows us to provide knowledgeable and highly dependable services. 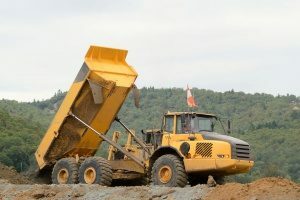 Dirt Connections can deliver directly to your job site all of the fill dirt required for your project – and can take extra dirt away from your site. Following the complementary site safety inspection, our simple and well-organized free delivery for ten loads or more makes our service beneficial to you in more ways than one. 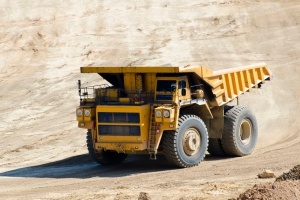 Encountering a shortage in fill dirt in the middle of a project is an easily avoidable situation that can result in delays and wasted resources. To avoid running out, simply take a proper measurement of your construction area to ensure that the order of fill dirt is accurate and sufficient for your needs. Measuring your construction area depends on the geometric shape of the are being worked on. Circular projects require a little more geometry than rectangular ones. Begin by measuring the diameter of the area, and then its depth, and record both values once again in inches. The correct volume is found by multiplying pi (3.142) by the radius squared and then by the depth. Schedule a Gainesville, VA Fill Dirt Delivery Today! Dirt Connections has the means to fulfill all of your specific fill dirt needs, regardless of how large or small your project is. Our affordable and convenient delivery can be counted on to get everything done right without any hassle. Send us a message online or give us a call today to discuss your project’s needs, and to set up your delivery today!